Sandy passed away surrounded by her family at Claresholm General Hospital. Sandy was born and raised in Claresholm and was a member of the first graduating class of Willow Creek Composite High School. She moved to Calgary in the 70’s to find work. In Calgary is where she found her future husband Doug. They married in 1976 and had two boys - Scott and Shaun. The family moved back to Claresholm when the boys were of school age. Once the boys were in school Sandy started work at the Chinook Health Unit, where she worked until she took over the office work for Doug’s carpentry business. Sandy had a love of camping and was an avid trap shooter. As a young girl Sandy belonged to Canadian Girls in Training. 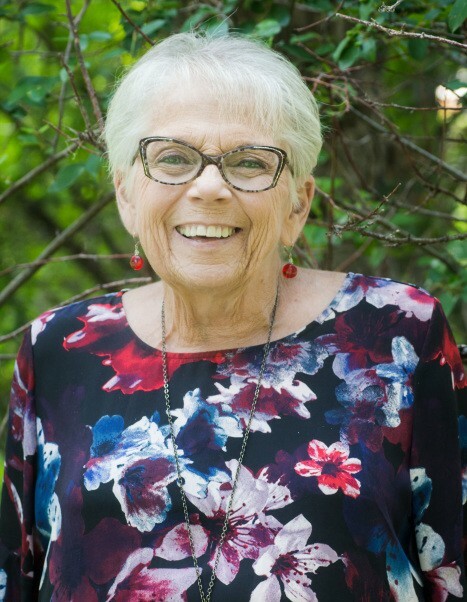 When she moved back to Claresholm, she led a CGIT group with Sandy Menzies. She also split her time between being a hockey mom and riding behind Doug on his motorcycle. One of her main passions was shopping and she tied this into her extensive travelling of Europe and North America. Everything in Sandy’s life took second place to spending time with her children and grandchildren; she took great pride in every aspect of their lives. She is survived by her husband Doug; her sons Scott (Rachel) and grandchildren Katriona, Sarah, Rorrick, Brianna and Dustin; Shaun and daughters Madison and Brityn (Angela and Mason); also her mother Lois Symonds; sister Carol and son Chuck; sister in law Tracey Symonds her son Cody, daughter Karly (fiancé Matt); brother-in-law Donald and Roxie MacPherson niece Janine; sister-in-law Margaret and Bernie Sulkers and nephew Danny. She was predeceased by her father Clifford Symonds, her brother Douglas Symonds, grandmother Nell Arnstead, great-uncle Lorne Stagg, Uncle Jim and Aunt Olene and Philip Gray. A Celebration of Life will be held at 2:00 pm on Friday, December 14, 2018 at the Claresholm Community Centre 5920-8 Street Claresholm. If desired, memorial donations may be made to the Claresholm & District Health Foundation Box 2638 Claresholm, Alberta T0L 0T0 or Claresholm Animal Rescue Society Box 2579 Claresholm, Alberta T0L 0T0.